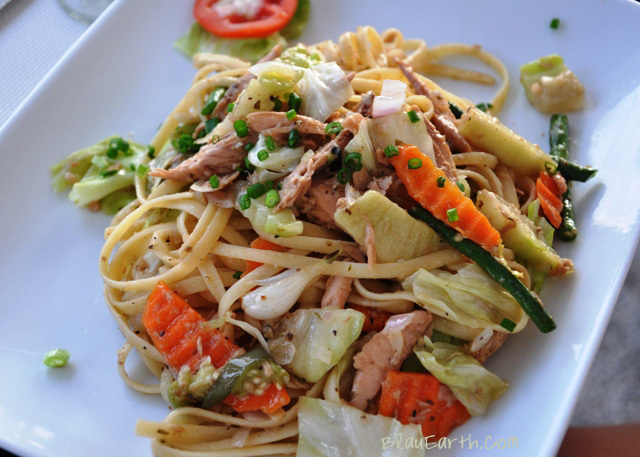 Pasta lover Ericke had this light summer tagliatelle with veggies and tuna at BergBlick after skimboarding in Saud Beach. 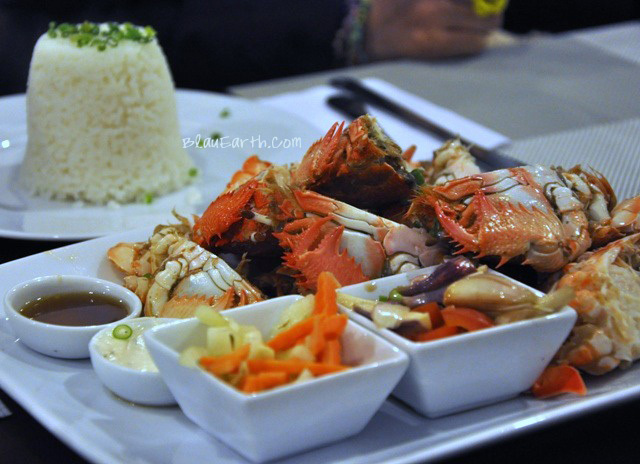 I thought it might be a wonderful Lenten meal if you’re planning a Pagudpud getaway this month. I also saw meatless Pasta Arrabiata in the menu. Had to browse through my January files for this steamed seafood we chanced upon after my initial visit to Bergblick. The fleshy crustaceans are spanner crabs, known in the northern regions as kusimay, and in southern regions as curacha. One of the 3 dips accompanying the dish was the Ilocano favorite sawsawan, sukang Iloco, which is actually aged basi, a local wine made from fermented sugarcane. I liked the mayo dip-kusimay meat combo better — like Japanese kani salad. Pagudpud is a seafood town, so there might be more items from chef Detlev’s ‘Catch Of The Day’ Menu. Makapabisin, Maam Tina. Yayyy, I’m craving for kusimay. We will try Bergblick when we go to Pagudpud this Holy Week.